I have known David Ketchledge longer than he has known me. After I first re-discovered rocketry in 1994, I was fortunate enough to get a copy of his article on Vertical Trajectory Systems (VTS) in the now defunct HPR magazine. Davids article provided the first steps for my efforts on building a rocket with an active Vertical Trajectory System that allowed the vehicle to continue on a vertical path even passing through wind shear. The book has information for any rocket enthusiast from beginner to seasoned amateur rocketry people. Technical details and numbers are provided in the references, and vehicle information is provided in the text. There is enough here to chew on for quite a while. I am proud to say that I was the first to purchase a copy. I encourage everyone to make this great investment. After writing The Next Shuttle, it was my intention to do another follow on book called Rocket Science if there was even a moderate success with the first book. Rocket Science in 910 pages spans the areas of hobby rocketry and professional Aerospace Engineering for key reasons. First it is essential to give young men and women who are just starting in Rocketry a technical resource that represents some 50 years of experience. For those in Aerospace Engineering, Rocket Science is a detailed reference that demonstrates how low cost vehicle test methods through Radio Control and High Power Rocketry have yielded positive results. Leading senior members of NAR and TRA have flown RC boost gliders of the Bell X-1, North American X-15 and Space Shuttle. Along with several lifting bodies like the NASA HL-10 and X-38. During the 1960s Dale Reed at Edwards AFB flew experimental vehicles including the M2F1, X-33 and Space Wedge. All accomplished at a fraction of the cost of full size prototypes and yielded significant design issues in each craft. The M2F1 showed that at certain roll and pitch angles the vehicle would shed the leading edge lift vortex. A trait that repeated iself years later in manned vehicles. Thus its a proven fact that R/C and High Power Rocketry have made a positive impact in aerospace development. Rocket Science as a book also reflects the work at SpaceX, XCOR Aerospace and Scaled Composites with a specific chapter on the ongoing efforts and future potential of each design. The world of 2009 is a flux of change both in government and commercial spaceflight. One expects the Orion will fly in 2015 and we can reach the Moon again by 2020 and potentially Mars a decade later. We also include a copy of the Augustine Report on NASAs return to the Moon. To accomplish this, a new generation of space capable students and professionals is needed in Technology and Engineering. Rocket Science lays out a foundation for the reader and as a reference. Like my first book, key NASA reports are included in Propulsion, Aerodynamics and vehicle development. Rocket Science in 910 pages that gives you the technical tools, resources and engineering insight that has been developed over decades. 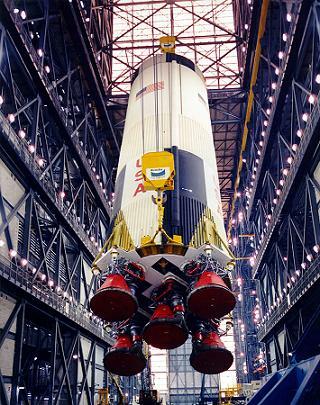 Besides the book itself the NASA documentation and software make Rocket Science one of the best resources in Rocketry. Visit the ARA Press website or RocketEngineerbravehost.com to purchase the book. As always our pricing is very low at only $ 35. Rocket Science has appeared on The Space Show and at NARAM - 51. Those individuals who have viewed the book, come away impressed by the depth and detail. 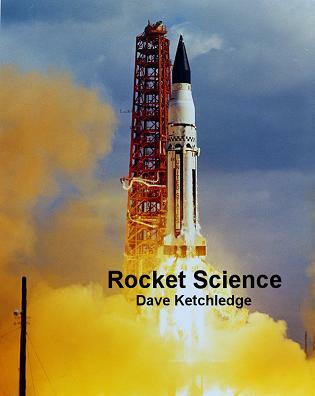 Rocket Science will be one of your best assets in Rocketry today and into the future. I fondly remember a poster from Apogee Components who is operated by Tim Milligan. The poster shows a Space Shuttle lifting off and a boy holding a model rocket. The first step into Space takes a Model Rocket. Rocket Science is the road map to achieve that all in one text. It is in essence a legacy to the future you will be a part of make it a good one. Finally Harry Stine, the father of Model Rocketry asked each of the senior members to pay forward. Because each new member we have, is worth our attention, guidance and assistance to be a success. Rocket Science will make the path to your aerospace future brighter. Please stop in and see Rocket Science and I think you will be impressed as well. Rocket Science includes a chapter on Orbital Mechanics with a comprehensive spaceflight simulator with vehicles like the Space Shuttle, X-15, X-20 and Gemini capsule. The other software in the book gives you tools like LISA and GRAPE3D for FEA along with solid rocket motor analysis. You can find Rocket Science at http://www.rocketengineer.bravehost.com and soon at ARA Press we welcome your interest.